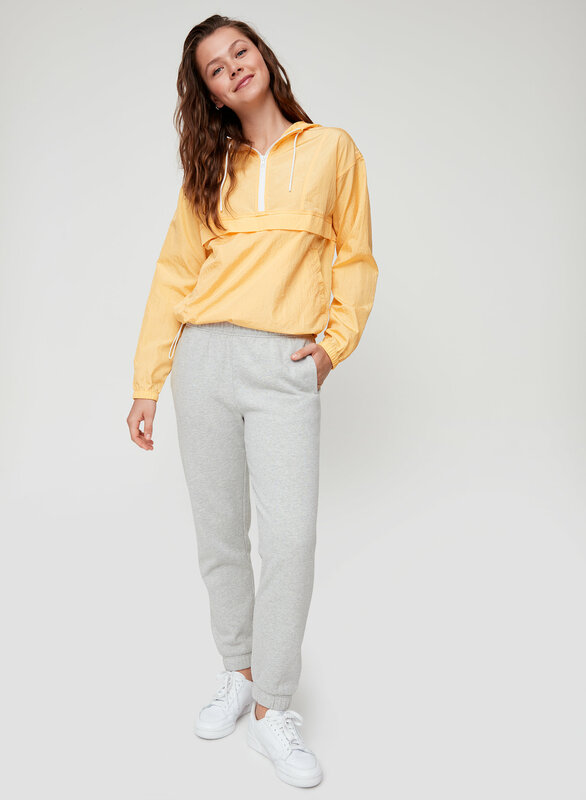 Styled with jasmine windbreaker . 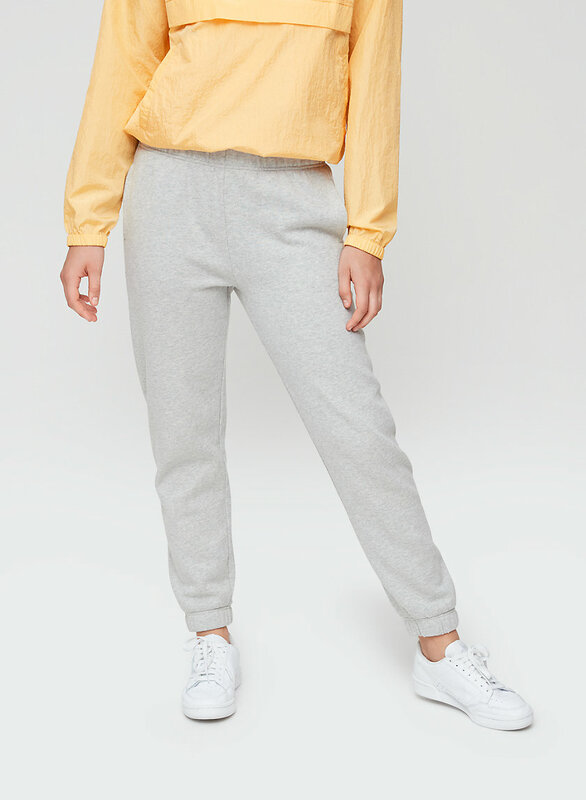 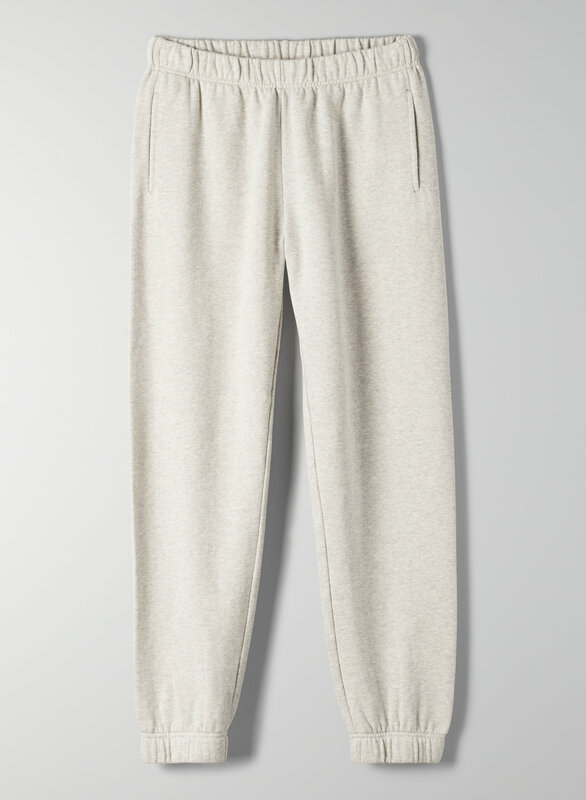 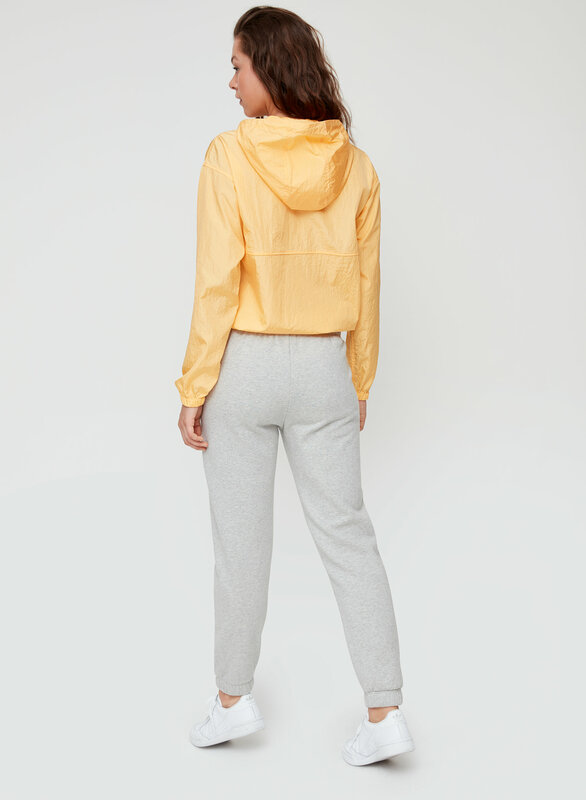 This is a slim jogger made from a vintage-style cotton fleece fabric. 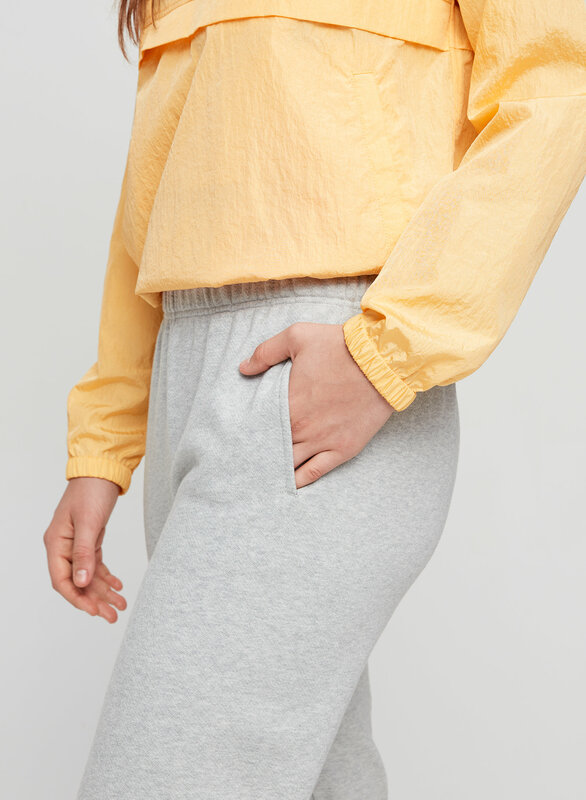 It has an elasticized waist and cuffs.